LOL never too cold! We have a place here called Goodberrys. It is ALL outside. People go there year round…it never closes! 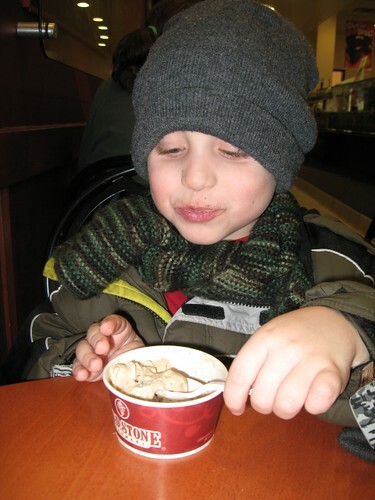 I know a lot of people wouldn’t want to eat ice cream when it’s cold, but I totally get it! And Cold Stone … how could you pass up Cold Stone anyway? !